The Cappont Municipal Nursery School has been part of the Lleida public school system since 1981. In February 2004 the center became a Learning Community School. 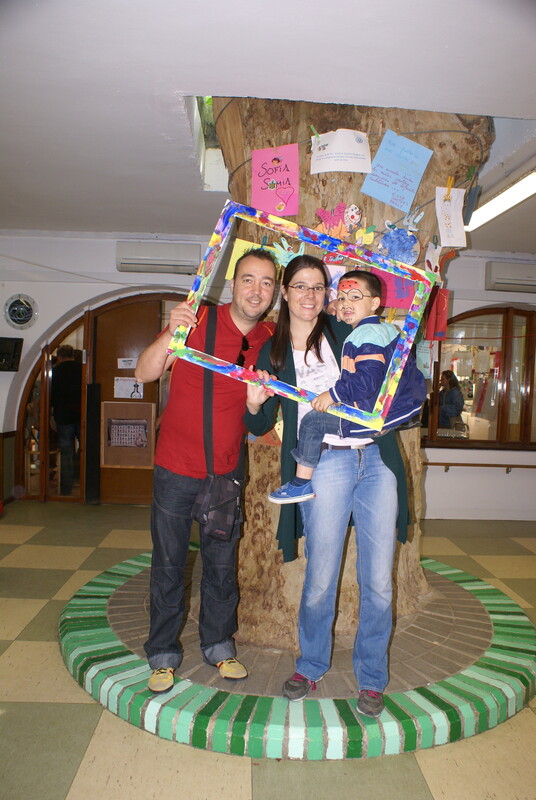 It was the first Learning Community Nursery School in Catalonia. The school seeks to give children the tools they need to build their own personality at an early age, and assumes that all people have potential that must be discovered and nurtured, and weaknesses that require help to overcome. To this end the school collaborates closely with the families so that the educational model is coherent and non-violent in the family and school, and their immediate surroundings. To ensure a learning environment that provides the children with good self-esteem, autonomy, critical thinking, communications and social skills, and which also provides support to the families so that this environment also prevails outside the school. To socialize children in a violent-free setting and therefore prevent any violence at school; this will guarantee that they have the right environment to achieve their personal development and will educate them in non-violence and contribute to social cohesion and a culture of peace. The Cappont School approach is the result of continuous monitoring and reflection by the teachers to ensure the development of children in an environment free of violence. This has made it possible to identify the factors that can trigger or reduce conflicts and violence among children between the ages of one and three, and adapt the educational model to them. This research/action process has been complemented by two other experimental and theoretical frameworks: the experiences in Italy at Reggio Emilia and San Miniato; and the Learning Communities approach launched by the Center for Social Research and Education at the University of Barcelona (CREA). 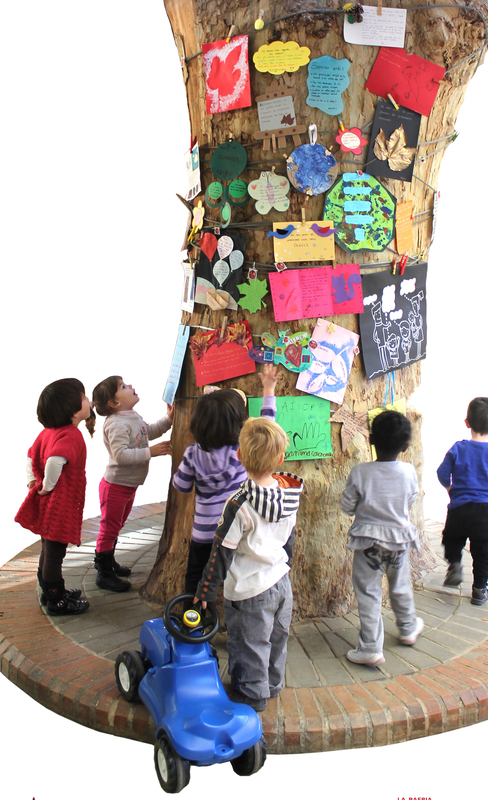 The approaches used at Reggio Emilia and San Miniato aim to provide an education for daily life. The program is based on the principles of respect, responsibility and community. In a rewarding and supportive environment that takes into account their interests, the children learn through exploration and discovery in a self-guided study program. Learning Communities is a project based on a range of educational activities aimed at social and educational transformation. This model bears in mind theories that highlight two key factors for learning in today's society: interaction and community involvement. The Learning Communities involve all of the people that can directly or indirectly influence the learning and development of students. These communities are based on a shared ideal or dream, and seek to convert it into an actual project for the school and its members. The need for and benefits of equal dialogue for improved coexistence and to learn together how to change the argument of force by using the force of arguments. All types of intelligence are appreciated and used, including cultural intelligence, to improve learning and strengthen relationships. Efforts are made to move from the culture of complaining to the culture of transformation. Conflicts and problems are treated as an opportunity to reflect, investigate and implement improvements. Education is seen as a key element in overcoming social exclusion by providing quality training in instrumental learning. What can be shared, experienced and learned in the school is much richer when equal encounters between all members of the community take place. Work and solidarity are considered to be the foundation. This makes it possible to move towards an egalitarian society. Diversity is considered to be enriching, something that enhances the road to excellence for all community members. Every child has his or her rights, personality, needs and potential. These individual characteristics must be discovered, guided and built with respect. The school is a place where you can learn from everything and from everyone: from space, time, tools, teachers, classmates, family and the environment. Violence and its prevention are treated transversely and are included in the overall school plan. To this end, great efforts have been made to identify the social behaviors that foster or inhibit violence, from both a theoretical and research point of view, and through the experience of the teachers. Boredom, aggression, passivity and nervousness are identified as elements that cause violent behavior. Collaboration, autonomy, respect, discovery and the management of frustration and fears are considered elements that inhibit violence. The importance of avoiding stereotypes when dealing with children and the effort adults must make to overcome them are also stressed. Finally, the educational team pays a lot of attention to making sure that all activities, situations, spaces and moments of everyday life are organized and conducted based on the elements that have been identified to ensure a non-violent education. The teaching staff is in charge of continuously designing meaningful spaces and contexts for learning and makes efforts to provide rich opportunities for autonomous exploration and play. The teacher is a guide, a permanent observer who is aware of the needs and reactions of each child so that they can be addressed in a positive and personalized way. The participation of the families is important to provide coherence to the program and to benefit the development of the children. Cohesion, coordination, critical thinking and a willingness by the professional staff to constantly improve are considered vital, and they work to ensure ongoing reflection by the team. Reflection on the educational practice, detection of distorting elements and the drive for constant improvement: the first step was taken twenty years ago when teachers expressed their concern over the stress caused by the physical and spatial structure of the school (it was very small for the number of students enrolled), and the uneasiness of some staff members regarding the generally accepted professional beliefs that made educational practice more difficult (such as the alleged negative consequences of putting children of different ages together). The search for successful models and other experiences: intuitively they began to try different methodological strategies that allowed them to live together given the physical limitations (for example, they put different age groups together in the same space). They organized some visits abroad and discovered the experiences that were taking place in San Miniato and Reggio Emilia, which allowed them to break away from many deeply entrenched professional beliefs, and helped them realize that it was possible to challenge and transform the methodology. From there they began an intuitive research/action process to find a way to create an educational model consistent with what they considered ideal. Analyzing the real possibilities of change, convincing the local education authorities, transforming the educational space and approach: the need to persuade the families and the rest of the stakeholders to change the methodology forced them to delve into the available theoretical research and to organize team discussions, which allowed them to refine their ideas and action plans. Continuous assessment: they were aware that for the educational project it was important to prevent violence. Using observation and theoretical research they identified those social behaviors that foster or inhibit violence. Creation of the Learning Community: in February 2004 they became a Learning Community as a way to ensure that children, families and teachers received the preparation needed to prevent violence and improve education. At the beginning of each school year the ‘dreams’ of the children, families and teachers are collected and discussed. Joint committees are then created to develop the ones that they decide upon. Each school year thus incorporates innovations in the form of new projects launched by the community. Consolidation of the successful educational model locally, nationally and internationally: since 2004 the staff receives constant training from CREA to continue to improve and enhance the Learning Communities project. Continuous improvement process, with constant reflection on the process. In the beginning, the small amount of space in school and the difficulties this created was a major factor behind the structural changes made in the school’s operating model. The diverse mix of student families, who come from all levels of society, has also led the school to design strategies that ensure equality and attention to diversity. An educational team that takes a critical approach, is innovative and feels concerned about social improvement beyond the school. The distribution of space: there are four distinct environments, each with different proposals and materials that are designed to promote maximum learning. The children move freely from one space to the other and choose the activity they wish to do. In each room the same two teachers are always present. They observe and care for the children. The students know where to find each teacher and each activity; this is an important reference for them. The role of the teachers: The teachers do not direct the activities, but are there to accompany them. Their role has changed from scheduling and managing the time and the activities, to observing and accompanying the children in their initiatives. This allows them to better respond to the needs of children: on the one hand they observe them, and therefore can conduct better evaluations; on the other hand they do not interrupt the learning or concentration processes to organize guided activities. Each child is allowed to finish the processes and activities he or she has chosen, with the understanding that this meets their needs. This structure allows the whole team to know and observe all of the children, and thus to share observations and agree on intervention strategies for each one. The relationship with families: the Learning Community provides them with opportunities for family participation and collaboration. This allows them to launch new projects each year, based on the dreams collected at the start of each school year, and grow using the knowledge and resources that families bring to the center. This facilitates a relationship of confidence and transparency with the families, which ensures cooperation when it comes to working with their children. Because of this model every year there are many more requests to attend the school than seats available, which is not the case in other nursery schools in the city. There have been several cases of boys and girls who, according to their families and people close to them, had an aggressive attitude; the school was able to get these children to collaborate and show respect for others. Other primary schools report that families that come from the Cappont School are very active and critical, and the boys and girls are highly motivated to learn. Families recognize that they have learned from the model used in the school and that their relationships with their children are more rewarding. Members of the staff see that the families feel comfortable when they are at the school and they hear positive comments about their children (for example: "My son certainly has changed"). The school is a reference for other schools. Researchers, university professors and students often visit the school. The ability to continuously change and improve, while encouraging the educational community to dream, collect those dreams and collectively implement them. Being a school where families can develop their parenting skills, so as to take care of their children without violence. The educational culture of staff, which is in constant research/action mode. The belief in the importance of creating a democratic and non-violent structure for the center (management of space, time, rules, etc) to educate within, and in favor of a philosophy of non-violence. The ability to create a specific and successful proposal for a non-violent educational model for children aged one to three. "In the two years in the Cappont School we shared many experiences. The most exciting day was the day you asked us to dream. We appreciated the fact that you invited us to participate and contribute ideas at the school. This is what we most remember: ‘A School for all’." "I like going to the nursery school now, as a former student, and to get together with old friends when my mother participates in the literary discussion group." "In spite of the fact that I had never gone to a nursery school, and that I was a little reluctant to send Pau (my little bundle of joy) there, the great thing is that I was helped to feel 200% confident. One of the things that surprised me the most was the dreaming! What kind of a school do we want for our children? Bringing all of the parents together to present their ideas, and being able to see dreams come true during the school year thanks to the involvement of teachers, parents, students and alumni is very rewarding and builds trust. Also, receiving the children and helping them adapt, participating in school activities, being able to go into the reference classroom, talking to teachers whenever necessary, resolving doubts for ‘rookie’ mothers … Or rather, making us feel at home! That is priceless! And it helps build our trust and our desire to send our second daughter. As a father of a former student said: ‘This school is like a drug, if you try it you get hooked!’ Even grandfather, who was totally against sending Pau to the school, says today: ‘It was a great idea to send her!!!’." "The experience at the Cappont School has shown me that we do get involved when we are given the chance and when we work on an equal footing to achieve common goals. As a professional, what is great is that you know that every year is full of new challenges and new hopes and, at the same time, you are sure that everyone is working to make education important and meaningful from everyone’s point of view (the kids, family and professionals)." C/ Sta Cecilia, 9 25001 Lleida.